The bill for cleaning up the 300-350 sites in Iraq that are known to be contaminated with depleted uranium (DU) munitions has been estimated at between US$30-45m. Then there are the sites that the Iraqi Ministry for the Environment doesn’t know about. It doesn’t know about these sites because there is currently no obligation on the users of the weapons to release targeting data to affected states after conflict. Nor is there currently an obligation to decontaminate sites or provide risk education or health and exposure monitoring to communities. The United States and United Kingdom have disclosed that they used around 400 tonnes of DU munitions in Iraq in 1991 and 2003. The United Nations Environment Programme believes that the total may be nearer 1000 tonnes. Persistent and consistent reports from medical staff across Iraq have associated this legacy from the conflict with increased rates of certain cancers and congenital birth defects. The extent to which DU may be associated with these health problems is still unclear as the conditions since 2003 have not been conducive to studying civilian exposure and health outcomes. That little data is available on where the munitions were used has also helped confound research. DU is a by-product of the uranium enrichment process, which contains proportionally less of the fissionable uranium isotope U235, and more of the isotope U238 than natural uranium. As a material it is highly dense and pyrophoric, meaning that it has an incendiary effect upon impact. This effect can generate an aerosol of micron and sub-micron particles that can spread between tens and hundreds of metres from the target. Recent studies have shown that these particles can persist in the environment for at least 30 years. DU ammunition is fired by tanks, armoured fighting vehicles and aircraft and its use can generate huge quantities of contaminated scrap and soils. It can be argued that the legacy of the use of DU in Iraq has significant implications for the acceptability of the weapons. From targeting transparency to post-conflict management capacity, to the use of DU against non-armoured targets and in populated areas, Iraq’s experience clearly demonstrates many of the problems associated with the use of this radioactive and toxic heavy metal in conventional weapons. The European Parliament recognised the intrinsic unacceptability of DU in 2001 after its in the former Yugoslavia. 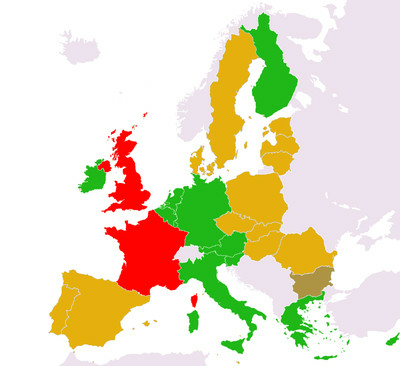 Since then, resolution after resolution has called for a moratorium on its use – most notably in 2008 where a wide-ranging text was supported by 94% of MEPs. In spite of the parliament’s clear decade-long position, voting by EU member states on UN General Assembly resolutions remains split. DU users the UK and France side with the US and Israel, who together are the only four states to oppose the resolutions. A bloc of more DU-progressive states led by Germany and Italy vote in favour, while a third bloc, primarily comprising Eastern European and Baltic states but including Denmark, Sweden, Spain and Portugal abstain. Globally, 155 states supported the most recent UN text in 2012 and the split position within the EU is something of a regional anomaly in the face of an emerging global consensus. With a fifth United Nations resolution on DU approaching this October, and conscious of the need to resolve the DU issue, the parliament is urging EU member states to adopt a common position in favour of a ban, and to help provide clearance and assistance for affected communities. The resolution on Iraq that includes the call was pursued by the parliament’s committee on relations with Iraq. 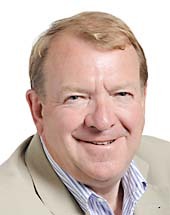 Speaking at a recent hearing of the committee, which considered field research undertaken in Iraq by the Dutch peace organisation PAX, the committee’s chair, British MEP Struan Stevenson of the conservative ECR group stated that there was a: “demonstrable case for a strong and robust resolution calling on member states like the United Kingdom and France to stop using DU”. Led by Stevenson, a group of MEPs and from across both Europe and the political spectrum, have also submitted questions to the EU’s foreign affairs chief Cathy Ashton to ask what the European Commission has been doing to encourage the development of a common position within the EU. They also call on the EU to demonstrate leadership on the DU issue. The questions remained unanswered at the time of writing. The call in the resolution and the questions to Baroness Ashton have now been lent further weight by a recommendation to Europe’s Council of Ministers, calling on EU member states to: “support UN General Assembly resolutions on depleted uranium weapons and to develop an EU Common Position that better reflects Parliament’s repeated calls for a precautionary global moratorium and the developing global consensus on the potential civilian health risks, complex post-conflict management burden and financial costs associated with their use". The parliament’s green political groups have consistently supported action on DU weapons and have repeatedly ensured the topic’s inclusion in resolutions and hearings. 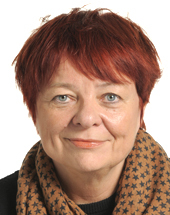 Reflecting on the need for a common EU position on DU, Tarja Cronberg MEP, spokesperson of the Greens/EFA group for security, defence and disarmament said: "We want several things, first, that the issue is recognised institutionally as a problem we have to address. Secondly, that some day soon the High Representative for EU Foreign Affairs and Security Policy will initiate a process leading to an EU common position banning the use, the production and investments in DU ammunition by EU member states. "This should also mandate the EU to work towards a global ban on DU weapons in a similar way as in the context of the Arms Trade Treaty or the 2010 NPT Review Conference. In both cases, an EU common position made it possible that the EU spoke with one voice and was able to have a positive impact". As was the case with the landslide 2008 resolution, that current initiatives have garnered support from across the political spectrum appears to show that DU’s unacceptability remains as persistent as its legacy in Iraq. The parliament’s message to EU governments is clear but whether it will be acted on will only become apparent this October when the UN General Assembly meets. Material from this article was published by The Ecologist magazine.